Postcards for the swap have been mailed out and now comes the waiting game :) We hope to receive 5 cards internationally – kids are really excited about this! Mars is doing alright in English alhamdulillah – I am quite satisfied with her reading, grammar and vocabulary but she needs to do a little more written work, so I’ve collected a few more English resources. 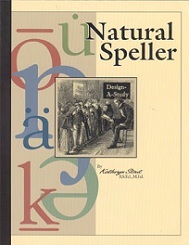 We are continuing with Worldly Wise 3000 – rather traditional but this will probably be helpful for her PSLE in 2013 (the dad man is not budging on this even though I’ve launched an aggressive campaign against it :P). 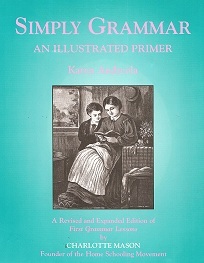 We are also using Charlotte Mason’s Simply Grammar: An Illustrated Primer by Karen Andreola this year as well – perfect for my daughter who adores the vintage illustrations. We are also stepping up on copywork – Mars is getting increasingly frustrated with her less than neat handwriting. She wants to do cursive, but I really think she isn’t ready. I know some families begin writing with cursive so I am tempted but also very torn. Any advice? We’ve also been doing note-taking during our rainforest unit study. She has been summarising our discussions and will transfer her notes to a rainforest journal in shaa Allah. Hopefully this gives her more writing and spelling practice.